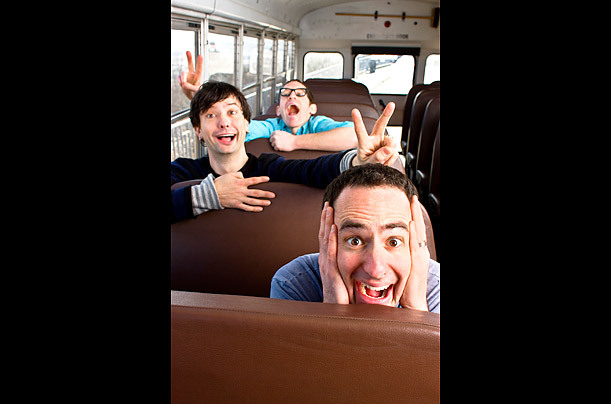 If Seattle is the new bastion of kindie rockers, then elementary school teachers  Jack Forman, Daron Henry and Drew Holloway  are the city's breakout stars. Their tight, smart, acclaimed original songs, on subjects like wearing a pair of snow boots, riding a bike and going on a field trip, draw from a host of styles and hint of the Beach Boys, the Beatles (one of their CDs is titled Tabby Road), rockabilly and seriously grooving funk. Their newest CD, The Final Funktier, is due out in June.